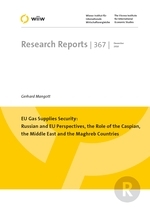 This report tracks the major geo-economic and geo-strategic ruptures between the EU and Russia on the future patterns of gas supplies and shipping routes to the EU and the Western Balkans. It identifies the objectives and interests of the actors involved in this struggle: Russia, the EU, various EU members, the countries of the Caspian Basin (Kazakhstan, Uzbekistan, Turkmenistan, Azerbaijan) and the Middle East (Iran, Iraq, Qatar, Egypt) as well as the Maghreb countries (Algeria, Libya). It analyses in great detail the colliding interests of all actors at the intersection of business and (geo-) politics.